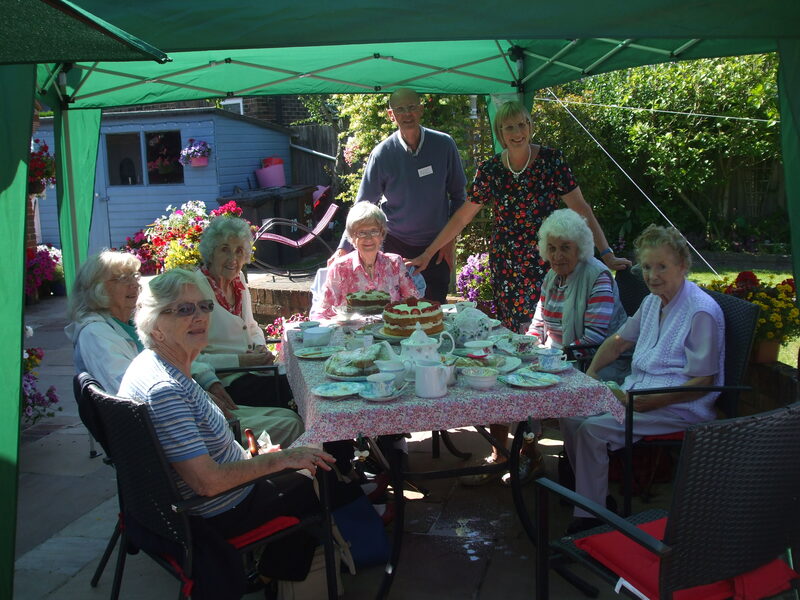 We moved to Polegate in 2011 and, having enjoyed hosting tea parties for Contact the Elderly in Worcester Park in South West many years previously, we were delighted to discover that there was a group for the Eastbourne area. I contacted Julia Rivas, the Area Organiser, she came to see us and a few months later asked us to host. Nic, after completing a CRB check, became a reserve driver. On one Sunday of each month a volunteer driver, almost always the same one unless a reserve steps in, collects the same two elderly people and takes them to a volunteer host’s home where they all stay for tea. There can be up to eight isolated, older people and four drivers. 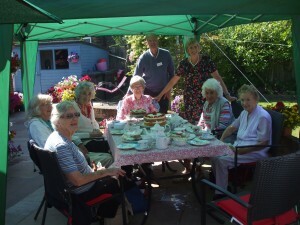 When our turn came to host we realised that, although they enjoyed the sandwiches and cakes and lots of cuppas, the main object was for people to get together to chat. Sundays can be the worst day when you are by yourself. Since then I have taken on the job of sorting out the calendar and making sure we have enough drivers and hosts. The drivers ring “their” people and then let me know who would like to attend and I let the hosts know the numbers. That is no problem, my biggest difficulty is putting names to faces but I am definitely improving with practice! Nic and I still have our hosting roles but I enjoy using my organisational skills with Contact the Elderly. What do I get out of it? The knowledge that we are doing a small part to brighten lives and have made twelve new friends! Julia Rivas, Contact the Elderly, Regional Development Officer for Sussex and Surrey says; ‘Carol minimizes the impact of her role on the smooth functioning of the Eastbourne group! Her role as coordinator is fundamental to the on-going success of the group. As coordinator Carol holds the group together and ensures that everyone knows where and when they’re supposed to be on the Contact Tea Party day. The volunteer drivers and hosts are in effect managed by Carol who liaises with both. A key part of her role is organising the tea party schedule for the year, as well as meeting and welcoming new guests, new hosts and drivers. Carol also does the DBS ID checks for new drivers. I can’t stress enough just how critical Carol’s role is and how the group really depends on her organisational and personal skills’.